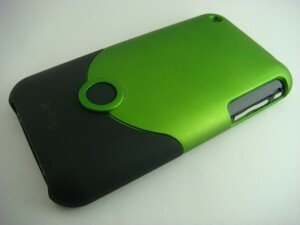 This year at the Consumer Electronics Show 2010 (CES), iFrogz announced a new line of customizable iPhone cases. 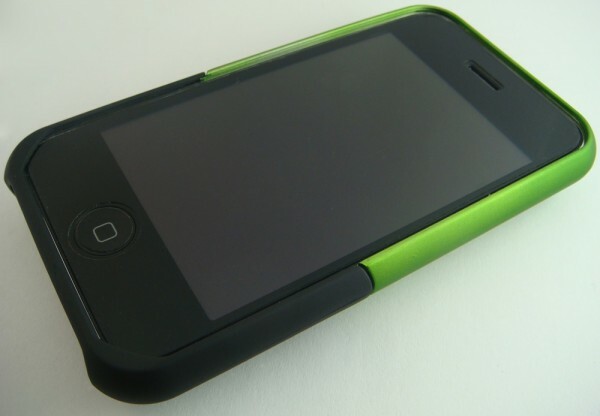 Although the idea of customizable cases are not new to the market or even iFrogz, the MyFrogz series allows personalization of both the top and bottom portions separately. iFrogz sent us a review unit that we designed ourselves. I tested the iPhone 3G/3GS version, but they also have cases for many Blackberry devices as well. The case is very easy to install. Simply slide the iPhone into the top and the bottom of the case to “lock” it in place. This simplistic design, however, is not without major flaws. The bottom portion comes off too easily without any need to press the release button. I felt this was a major problem that could result in potentially damaging the phone. 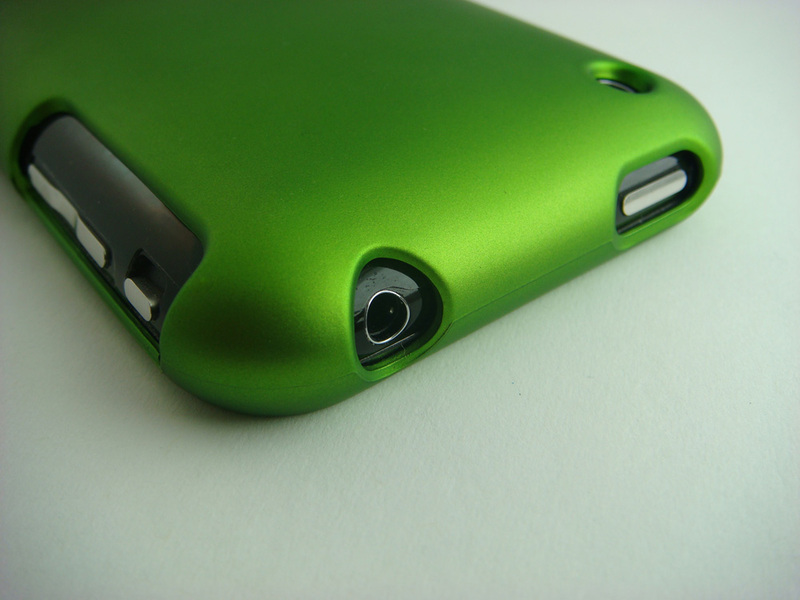 The case is very thin and can easily be bent with just one hand, making it seem flimsy. All of the connector areas are accessible so you won’t be hindered when using 3rd party accessories. On the downside, the area near the volume and ringer toggle is too exposed and will likely become scratched with daily use. Also, the case does not come with any type of screen protection, so you’ll have to either purchase one separately, or risk using it without one. UPDATE: The unit we received did not include a screen protector, but those purchased from an AT&T store will have one. The case looks decent, with an extremely smooth and almost velvety texture. The inside also has some material to prevent the back of your phone from getting scratched when putting on or removing the case, which was a nice touch. This does not, however, make up for the lack of strength and sturdiness typically associated with high quality cases. I used the MyFrogz web interface to make my customizations and found the process extremely easy. There’s also an iPhone App that lets you do the same without ever having to touch a computer. There are two parts to the case, a top and a bottom, and you can change the colors of either piece in order to create a color scheme that fits your style. There are twenty-five different colors, including both opaque and semi-transparent options. It is admittedly fun and interesting to try creating a “custom” case. However, you are only choosing between solid colors with the iFrogz; there are no particularly unique textures or creative designs. 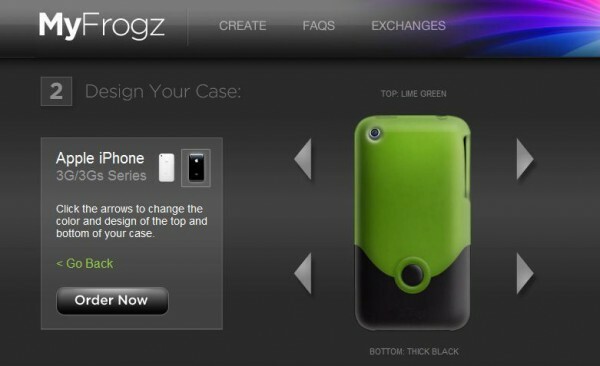 If you don’t like the color scheme after you receive the case, you’re in luck: iFrogz will exchange the case for free. All you have to do is ship them the unit back through the official Return Merchandise Authorization (RMA) from MyFrogz.com. Customers must return the unit within ten days, which is better than nothing. The MyFrogz case will run you $39.99 which is a pretty steep price to pay for a case with so many major flaws. The flimsy design makes it feel cheap and poorly made. There isn’t nearly enough protection offered by the incredibly thin plastic, and to top it off, the case can easily come off the phone unintentionally. Ultimately, it provides the phone with almost no protection. There are plenty of cases on the market such as the OtterBox Commuter series that are cheaper and offer considerably more protection. However, if you enjoy customization, MyFrogz offers that at a premium price.